Somehow Starbucks is a just little more festive over in Hong Kong than back here at home. 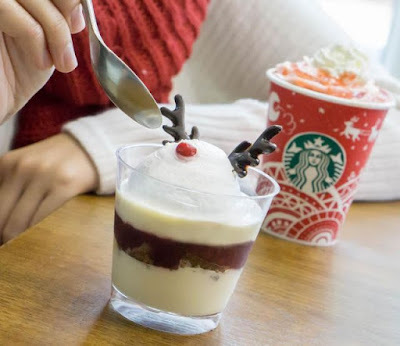 Their holiday menu in the Chinese territory features a parfait topped with a decorative reindeer and a mocha topped with a whipped cream Santa hat. The Chocolate Raspberry Parfait comes topped with a rounded mound of whipped cream with chocolate antlers and a red candy nose, while the new Santa Hat Dark Mocha comes topped with a lower swirl of pink/red strawberry whipped cream layered with a swirl of regular whipped cream and strawberry drizzle. 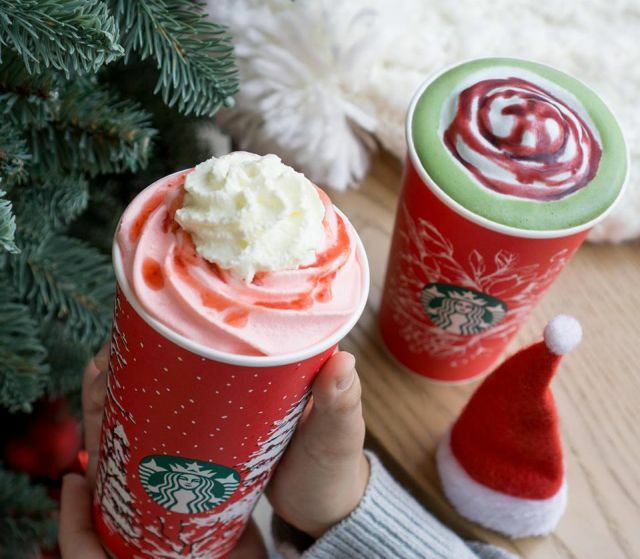 Starbucks Hong Kong also gets a full holiday line up of seasonal drinks that includes the new Teavana Christmas Ribbon Matcha Latte, new Toffee Nut Crunch Latte, and Gingerbread Latte. Photos via Starbucks Hong Kong.